This weekend past was International Hermit and Stitch Weekend and it could not have happened at a better time for me. 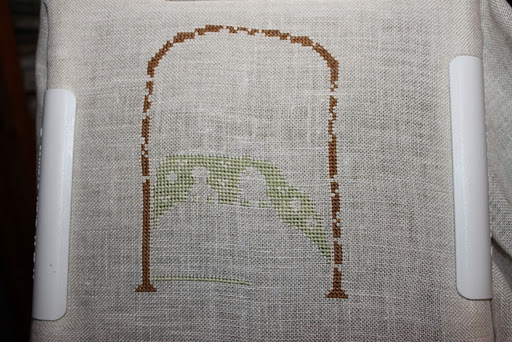 I’m still gift stitching !, its Xmas week and I still have some to do …. slight panic setting in ! 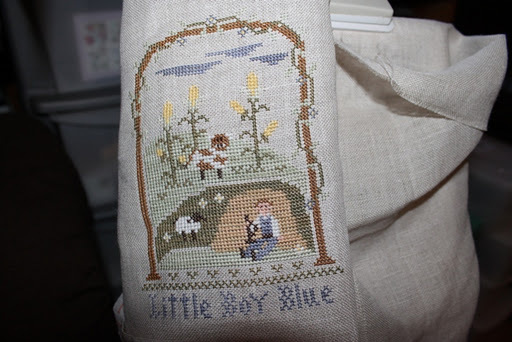 I was stitching some CCN Nursery Rhyme’s for my younger three children and I have Little Boy Blue done and Jack and Jill started. This week I need to finish Jack and Jill and start and finish Little Miss Muffet, add to that my knitting from the post below and this week will see many late nights again, wish me luck ! Here are the pictures from over the weekend. I have the frames already gotten for these so its just a matter of framing and hopefully wrapping before Xmas. I’d like to wish all my blogger followers a very Merry Christmas Season. Its been delightful reading your comments and getting to know you all throughout the year and I look forward to more of the same next year !. This entry was posted in Uncategorized and tagged CCN, IHSW, Jack and Jill, Little Boy Blue, Little Miss Muffet. Bookmark the permalink. Yes, Merry Christmas to you too Ruth! Little Boy Blue looks fab. Good luck, you are going to need it! You can do it Ruth! Ruth, both Lil Boy Blue and Jack and Jill are so cute… beautifully stitched, too. Congrats on a great IHSW weekend and may you and your family have a wonderful holiday season! Little Boy Blue looks wonderful! And great start on Jack and Jill! Can't wait to see Little Miss Muffet! That's what my uncle/godfather called me when I was little!Melissa J.
LBB looks wonderful! Merry Christmas! Sounds like you have a lot of projects going! Good luck finishing them all before Christmas.Little boy blue looks adorable :)Merry Christmas! Good luck to you – you've got a great start and it will be exciting to make your deadline! Ruth, Little Boy Blue is darling!!!! You'll have Jack and Jill done in no time, and I'm sure Lil' Miss Muffet will be all stitching up as well. Good luck with them!! I can´t wait to see those framed!!! They are very nice Ruth! I love the idea of stitching Nursery Rhymes! They look great, and do not worry I am in a panic as well about holiday stitching! Good luck in getting your gifts done in time for christmas!Merry Christmas!